Stay In Your Lane, Know His Lane! : Episode 2. Welcome! we are continuing in our new series “Stay In Your Lane: Know His Lane!, helping us in recognizing that plans we set also need to be linked to those of our heavenly father. Just to recap in the opening episode we focused on Abraham, who was comfortable in his lane, living with his family in familiar surroundings. This was until God instructed him to move, which he did and followed the ultimate plan set for him. Have you ever doubted a decision you have taken? We make decisions every day some more complex than others. It could be over what we are going wear to an interview or a date. We may spend a lot of time contemplating what to wear, but then we make a decision. However we are not always comfortable with our decision, but we set off. A seed of doubt starts to grow in our mind, maybe stemming from what a friend has said to us. another example could be an article in a newspaper we have read, the weather or something from our social media feed. This may have planted uncertainty in our original decision. On route, we stop, change our mind and return home and change outfits but something stops you from fulfilling the appointment. The opportunity has been lost, can anyone relate to this? Whilst this may appear a trivial example it does, however, happen. in other aspects of our lives where we become doubtful. If we think about accepting a new job role, starting that new business or committing to buying your first property, doubts at the beginning can have consequences. Someone who is doubtful in the bible is described as double-minded. Let’s explore this further. The bible verses for this episode are taken from the New Testament and from the words of Jesus’ brother (James). James became a leader of the Jerusalem church and wrote letters to followers of the faith, who had been scattered throughout the Mediterranean world because of persecution. He sent letters to encourage his followers. James Chapter 1 Verses 5-8.New International Version (NIV). If you need advice and guidance Verse 5 highlights wisdom. God can provide this to us, we should seek him first. You won’t be judged by God for coming to him for advice. You can do this through prayer, or through people, he places in your life who can offer advice, encouragement, and challenge to help you to progress with that plan or vision. When you ask our heavenly father “have the faith to believe he has heard you and will support you”. Do not Doubt !! Doubt can lead you to become like “a wave in the sea, blown and tossed by the wind “. See Verse 6. When you ask God for help you must believe he will help you. If you doubt “you are believing that you will not receive anything from the Lord”. Verse 8. Having doubt and being double-minded is something we all are guilty of, me too! as we follow our lane of life let us ensure that we strive to become more decisive and believe in our plans. We can also call upon our heavenly father who will shape your plans into his plans in an amazing way. In the final episode of the series a prophet provides us with some timely advice in realizing who is ultimately in control of our lane and plans. Join us next time! 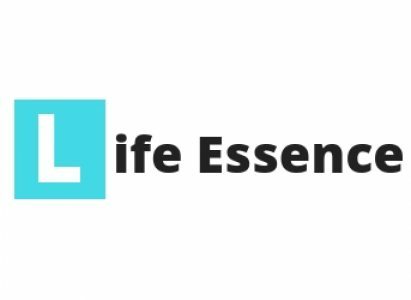 The entire series will be available after the final episode on the Life Essence app via Android and IOS. Next Post Love Your Enemies Too.